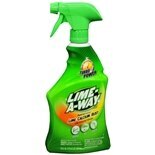 Shop Lime-A-Way Turbo Power Cleaner (22 oz. )22 oz. $479$4 and 79 cents$0.22 / oz.